The Worlds Best Sailing Packing List Ever! Excuse the modesty! 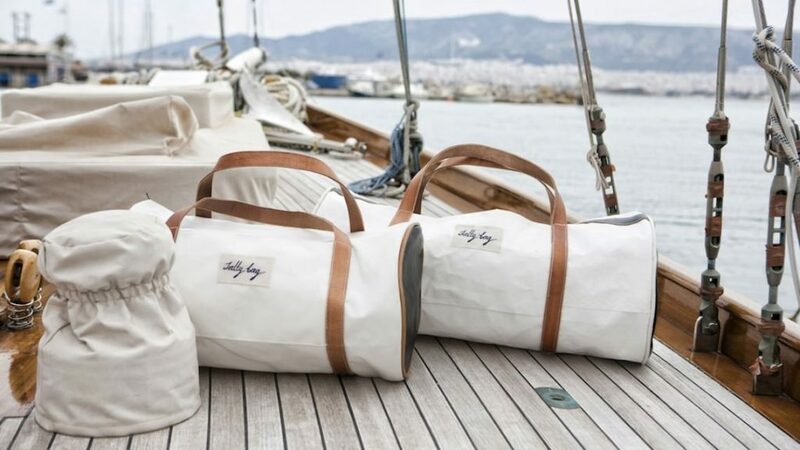 Packing for a sailing trip can be a little tricky, to have the best trip, you probably don’t need as many clothes as you think and a slightly different style is usually called for. On top of that, there are a lot of small little nick nacks that can certainly make your a whole life easier. For that reason we thought we would help out, more than that – we are going to keep updating this list with your stories, suggestions, idea. Please do leave a comment on the forum if you have something to add. Please enjoy our list and we look forward to hearing how things went. Really you should have one pair of deck shoes. They can be purchased very cheaply or you can treat yourself to a nice pair. They are designed to keep you safe and not mark or damage the decks of the boat. Flip flops and other light shoes with non-marking soles are a compromise alternative. A lot of sailing offers a lot of swimming opportunities. Exactly what you need depends on your location – but it rains most places and you will need some protection if your going to help out with the sailing). If you travel in longs – that’s normally enough for most trips. If you are going to be a tending any nice yacht clubs, top restaurants or hotels, this might need more thougt. Depending on your location, you may prefer or need a collar for certain restaurants although this is rare. Dresses skirts, sarongs, baggy pants are all suitable for the evening. One nice dress maybe needed depending where you are sailing and where you intend to eat. Many chose a much lighter touch when away sailing. Remember you might not have a hair dryer available to you most nights. You may want to buy something to stop them falling in the water. Lots available on the market. Ensure you have a high SPF, expect to need more and a higher factor than on other holidays as the reflections from the sea magnify the effect. Top Tip: The miniatures from the chemist help you pack nice and light! Although there is a first aid kit on board, some basic supplies are recommended. You might want to consider sea sickness pills too. Make your clothes go a little further with some hand wash soap. That way you can wear that favorite top more than once! Things do dry quickly, but see the note on pegs below. Many charter companies in the Caribbean provide these although it’s not universal and unlikely in Europe. You might want to consider hiring or buying when you get there are it can be very bulky to carry. Some crews pour drinks each time. More commonly bottles of water are used, but they do all look the same, your own drinks canister will help! It makes much more sense to use the ones provided by the charter company than carry them. Some companies include them, others make a small charge. If you are so fond of you large beach towels you had better throw one in, the charter ones will not be that big. Even with they are provided, there never seems enough. Ask all your crew to bring one (half will!) and you will have some spares. Make sure at least on of you has a phone or music player that has plenty of music. Worth checking if their tastes suit everyone! Most boats have a sound system with an auxiliary socket to plug in your phone or MP3 player. Try and make sure someone has these leads. These come in all sorts of shapes sizes and costs. I use the cheap ones from any good stationary with the “zip” top. Others have nice branded alternatives. Electronic items hate salt water. Very expensive pro cameras are protected and can be cleaned, at most risk are standard mid-market cameras. Either be very careful or think about a cheap one or use your phone. I have a water resistant case, others use special bags, whilst you can just be careful. But again, phones don’t like salt water! In many sailing destination getting hold of money is relatively easy in the modern world. But do check your destination accepts credit cards if you planing to use them to buy groceries, fuel, etc. Yes, your prized towel or favorite swimsuit you dragged all the way here has a mind of it’s own sailing. Don’t come back from hanging it up to find it has jumped in the sea and sunk. A peg will solve this problem! If your trip demands it, or your swimming standards make it sensible, consider you own Personal Flotation Device that’s comfortable and easy to wear. If you think we have missed something? Why not tell us on the forum. We look forward to helping you out with your next amazing sailing adventure.